“One night while rooting through the recycling bin for magazines, I found all the confidential Ph.D. applicant files for the biology department at an Ivy League university from the years 1965-1975. Stapled to many of the yellowed documents were photographs of the prospective students. They were treasures! I tore through the folders and rescued every portrait I could find. I had to have them. Only later did I realize I had to publish them”. So begins the preface to Jesse Reklaw’s Applicant. 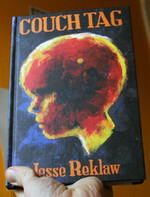 A priceless time-bomb of pop culture, Reklaw serves a compelling and secret look into an impossibly lost era. Collecting photos from the 1970s and paired with accompanying comments from employers and professors, the results are absurdist, confusing, often hilarious and disturbing. Applicant provides unique insight into outdated 1970s social attitudes and ephemera (under one girl’s photo: “Weakness: she is a female, and an attractive, modest one, so is bound to marry”). Much of the book’s appeal however is found in what the book fails to say: the blank and despondent stares of its subjects, the outdated fashions and hairstyles and its understated text. Equal parts Ann Taintor and Found Magazine, Applicant is one of those books you read once and then want to show everyone. 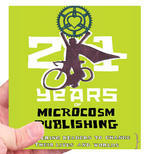 In fulfilling Jesse's dream, we've republished this as a tiny paperback book! 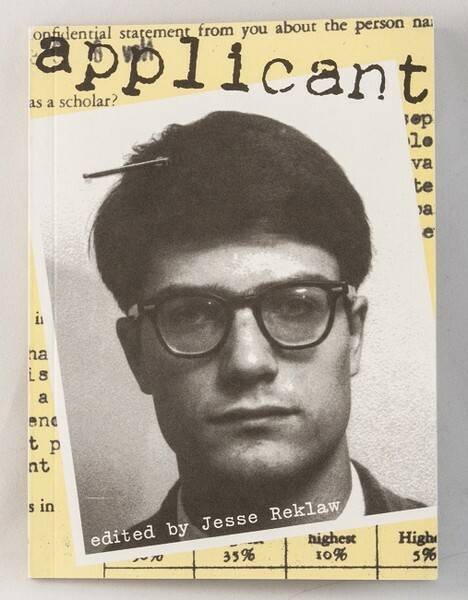 "'Applicant' is a wonderful piece of 'found art' featuring photos and extracts from a bundle of rejected CVs and interview summaries that Jesse stumbled across." 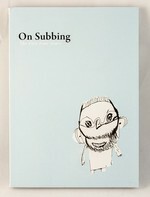 " ... one of the best one-off ‘zines I’ve run across." 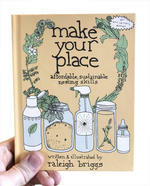 "You will read this book and laugh, and think, and marvel that such a simple concept can affect such bipolar feelings." everything about the execution: perfect. anyone know who did the print work?
" ... a very interesting, if all too brief time capsule of a decade long gone." hey! I know you! heh, small world. This is such a simply constructed book, and yet it really makes you think. A quick read-through is funny and voyeuristic, and you can laugh at the funny dweebs and the harsh judgments passed upon them. But there’s something more to it here: there’s the disturbing and uneasy snap judgments of these strangers’ characters, but there’s also our own reactions as we match these quick quotes (most without context) to our own snap judgments and find congruence. Yes, he could be “rather tense.” And I bet she is “self-deprecating.” This is a book about shallowness, theirs and ours, and in that, this book finds something very deep. a great prank itself. 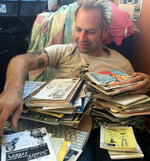 Reklaw, who does a comic called Slow Wave based on other people’s dreams, found a pile of discarded Ph.D. applications to the biology department of an Ivy League university from the years 1965-1975. These were confidential files with photos and — the most interesting, hilarious part — comments from the interviewers. Reklaw compiled the photos with excerpts from the comments and the results are not only hysterical, but a window to a certain time. Photos of men with comments like, “not facile with arithmetic,” “I can imagine that he could be wearing on constant close exposure,” and “hardly the life-of-the-party type!” Photos of women with remarks such as, “lacks a certain amount of poise,” “certain lack of adventurousness,” “not as physically attractive as some,” and “domestic responsibilities may intervene.” It’s a fun, funny, and revealing little book. As the story goes, Jesse Reklaw was dumpster diving at an Ivy League university and came across file and file of confidential Ph.D. applicant files form 1965-1975 with their photos and comments from employers and professors. Of course he took them all and began publishing a zine of them for us to enjoy. 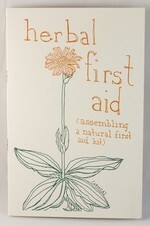 As a big fan of Found magazine and things like it, I of course love books like Applicant. It takes literally about ten minutes to read the whole book, but you will catch yourself flipping through it again and again and wanting to share it with friends. It is not necessarily the out of date looks of the applicants that keeps you coming back, but the ability to visualize a professor sitting on high and judging people based upon such odd things. One woman's photo says "Weakness, she is a female, and an attractive, modest one, so she is bound to marry". I of course am curious if anyone featured in the book even knows it exist. I doubt it, but you never know. It is only $4.00 and well worth it to glimpse into others lives in another time. Kinda like if Marcel Duchamp had decided to do a comic- it's a readymade project if ever I saw one. Essentially, it's a small book that features old pictures of Ph.D. applicants that Reklaw found in a recycling pile somewhere, and he's taken them and juxtaposed a snippet of a comment from the report on each. Often the straightfaced absurdity of the result is amusing, and sometimes it's just not, and I guess that what each reader will find humorous will vary greatly in each case. It's definitely an interesting curio. According to the introduction to his gem of a book, Applicant, cartoonist and painter Jesse Reklaw discovered confidential PhD applicant files for the biology department of an unnamed Ivy League university while rooting through a recycling bin. Some of the files (dating from the years 1965-1975) still had photographs of the respective student stapled to application documents. Reklaw took the photographs he could recover and collected them in a small book. He gave each photo a caption, and he created the captions from actual statements the applicant review committee made about the prospective students. As an example: for the caption to the photo of an African-American female applicant, Reklaw chose the following quotes that the committee actually wrote on the application about her: "Miss M--- is black. She seems well adjusted to society as it pertains to acceptance and/or discrimination." Or another student: "His only weakness has been his immaturity… and his mouth; there are times when he talks too much." Or "singularly devoted to sponges" described one candidate. It only takes one read to learn that this little book featuring found items is a very entertaining piece of art - one that had me flipping through it several times. It's not the outdated fashions and hairstyles of the grad school candidates or even the outmoded social attitudes of the review board that examined these photos and applications so long ago. It's the casual ruthlessness of the board's comments. Now, Reklaw may to an extent have taken the comments out of context, but that each caption is a fragment doesn't take away from the fact that these are the reviewers' actual words. This is a board that was probably made up of petty professionals whom many considered to be among the elite - the pillars of their intellectual community. The truth of the matter, however, is I've done the same thing while looking over photo albums, yearbooks, job applications, etc. Reklaw's Applicant simply reminds us of how ruthless and ruthlessly funny we can be at a stranger's expense. This is awesome, it would be good to see what these people are really doing now. Started by a cartoonist in Oregon who went looking for magazines in a recycling bin and instead found stacks of Ph.D. applications from the '60s and '70s replete with photos and recommendation forms. 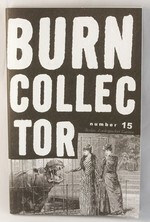 The zine contains the black-and-white mug shots of Ivy League hopefuls and short captions taken from their files. What could have been a hopelessly boring exercise turns out to be something you want to share with your neighbor. One picture of a long-haired brunette is accompanied by the snippet: "Weakness: she is a female and an attractive, modest one so is bound to marry," while a photo of a fair-haired man looking out from behind black-rimmed glasses reads, "I can imagine that he could be wearing on constant close exposure." I thought it was hilarious! I hope there's another issue in the works. 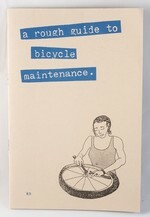 I loved Applicant, it's one of my favorite zines ever! Applicant is one of my favorite zines as of late. I plucked it out of the rubble of my charred apartment, it was too good to let go. Even if it got a little seared... I'm eagerly awaiting issue #2. The new wave of found literature is potent stuff. Thrown into the right context, these scraps of private thought say so much about the world at large. It’s the unconscious, unedited, urgent expressions of individuals that seem to provide the hard evidence for all we suspect we collectively are. In his tiny book, Applicant, artist Jesse Reklaw (creator of the syndicated comic Slow Wave and the mini-comic, Bluefuzz the Hero), uses photos and fragments of private, or rather bureaucratic, notes from a stack of Ivy League Ph.D. application files from the 1970s. He calls it “recycling.” Beneath black-and-white mug shots, Reklaw posts brief notes from the applicants’ former professors or employers, such as “Miss M_ _ _ _ is a black person. She seems to be well adjusted to society as it pertains to acceptance and/or discrimination…” and “He has some of the markings of a dilettante.” It’s a sad pageant of poor suckers, who stare out nervously from their horn-rimmed glasses, sporting their best neckties and dresses. This miniature archive says so much about its era, institutions, and the timeless agony of life’s demeaning and ongoing auditions. It’s a sad pageant of poor suckers, who stare out nervously from their horn-rimmed glasses, sporting their best neckties and dresses. Some lean awkwardly toward having a radical flair with a flamboyant scarf or a 1970s hairstyle that’s too big to be respectable. This miniature archive says so much about its era, institutions, and the timeless agony of life’s demeaning and ongoing auditions. Ably documents the suspect workings of the ivory tower, and operates near the same level that Davy Rothbart's FOUND Magazines does; somehow, though, it feels more personal. 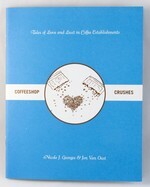 Get a copy and leave it in a [coffeeshop] someplace when you're done with it. If I were still at Tower [Records], I would have bought hundreds of copies of this, and I would have sold them all. Applicant is the story of one man’s journey into an Ivy League recycling bin and the humorous and cringe-inducing files he finds there. While searching through a bin for magazines, Jesse Reklaw happens upon the discarded confidential Ph.D applicant files for the biology department of an Ivy League school between the years 1965 – 1975. He organizes the pocket-sized book by photograph and an interesting blurb about the person provided by the recommendation letters of former professors. Some are simply funny because of the combination of picture and quote, like a well-groomed woman said to “lack a certain amount of poise.” Others are painfully funny in what they reveal about the culture at the time, particularly towards women and people of color, notably Miss M who was praised in her recommendation for overcoming any environmental handicaps she may have faced as a black person in an almost exclusively white class. It is hard to judge whether this statement is meant to praise her ability as a student or her ability to keep up with white people. Another woman’s weakness was as follows “she is a female and an attractive, modest one so is bound to marry.” While women were subjected to scrutiny for their potential to become wives and mothers, men faced criticism for being too lazy or rebellious. One male applicant was described as “a very bright underachiever with sharp elbows, and I wonder whether he was majoring in house-keeping and girls.” Despite all of the heavy analysis that can be gleaned from the book, it remains an amusing to read. I got more than a few giggles and hearty laughs out of it. Anyone can make something complex, but it takes a true genius to make it simple ... and so goes the idea behind Jesse Reklaw's book; the beauty is in its simplicity ... I became close-to-obsessed with this book once I picked it up; there's hours of entertainment in it and it really is amazing how on the basis of a fifteen minute chat these people feel they can sum up a person's entire life potential. Compulsive reading. A compilation of found photos of Ph.D. applicants to the biology department of an Ivy League university between 1965 and 1975, captioned by brief excerpts from the comments made on their applications by former professors or employers. Some of these captions are merely amusing: "Not facile with Arithmetic" accompanied a picture of a young man wearing a neckerchief.. Admittedly, some of the appeal of this zine lie in the unflattering photos of the subjects. More interesting, however, is the somewhat skewed perspective that Applicant gives on the academic application process (at least during the dates covered here). Despite the obvious selectivity of the mostly one-line captions, it is appalling to realize that your former teacher or boss may have said that you have a "lack of personal discipline" in giving a reference for your Ph.D. or other applications. More distressing, though interesting, is the light that some of the selections shine on academic and professional condescension towards women and African-Americans. "m is a black person," begins one, and the commenter's belief in that information's significance is awkward, at best. More outright jarring to contemporary sensibilities is, "weakness: she is a female and an attractive and modest one, so is bound to marry." Obviously such an idiosyncratic sample shouldn't be taken as a serious study of academic attitudes, but it does offer some insight and, in the less troubling cases, some entertainment. Log in to get emails when Jesse Reklaw has something new.